I got an idea for a short story when my grandma was in a nursing home for Alzheimer’s. The story is fiction, but seeing my grandma in that home all those times got me thinking. We were really lucky with my grandma. She was really sweet and special. I loved her dearly and miss her everyday. But I got to thinking, what if there was something major we had to forgive with her? How can you forgive when the person doesn’t remember anything? 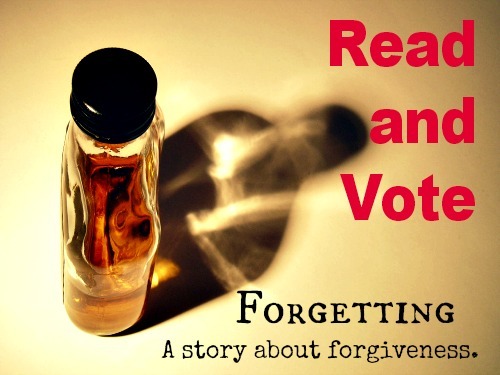 That’s the premise behind “Forgetting,” and it’s entered into the Family Fiction contest. It’s a short story, so if you get a chance please read and vote. I’d really appreciate it.